The mountains of Davos Klosters are diverse and they offer mountain bikers enjoyment, challenges and adrenaline all at the same time. Since the 80s, mountain bikers have been allowed to ride all the hiking trails in Davos Klosters. Today all the cable cars will also transport bikes, and the slogan «share the trail» applies to more than 1,300 kilometers of bike trails. The Gotschna freeride piste guarantees a big thrill for freeriders. Whoever masters the notorious Bahnentour («trainride» tour) will have experienced a total of more than 10,000 meters of downhill altitude! Gourmets and families can instead find less sweaty bike trails along mountain streams and through romantic side valleys such as the Sertig. And for every mountain bike tour there is a cosy inn waiting for you, offering home-made food specialties. Davos Klosters and the Prättigau are among the most attractive mountain bike destinations in the Alps. 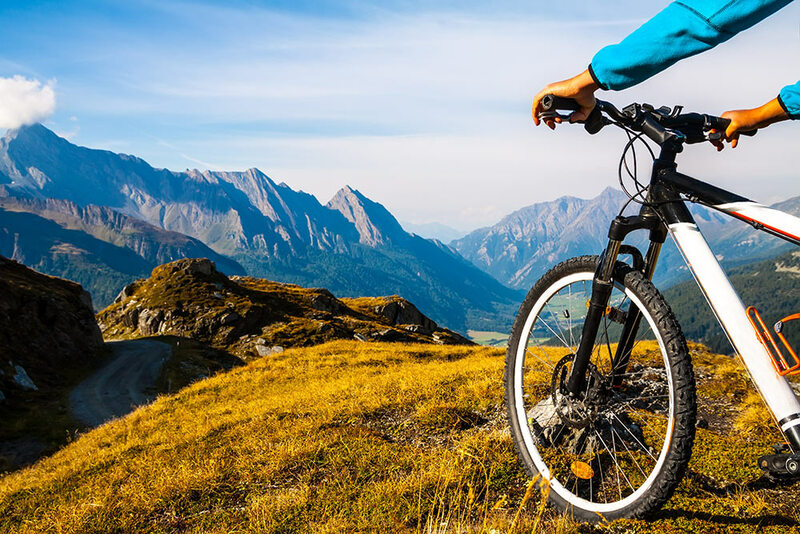 The alpine trails promise lots of flow and riding enjoyment and offer a fantastic experience of biking and nature. That’s quite a claim to fame: to be the longest singletrack in Switzerland. To be exact, the singletrack from Jakobshorn via the two Walser villages Sertig and Monstein to Filisur stretches for 45 km. The IMBA [International Mountain Bicycling Association in 2014 awarded this track the official status of «Epic Trail»; this distinction makes it one of the best mountain biking trails in the world. Coming Mountain Biking events in Davos Klosters – Rocky Mountain Trailride 2017 ∙ Fri, 30.06.2017 ∙ Sat, 01.07.2017 ∙ Sun, 02.07.2017.